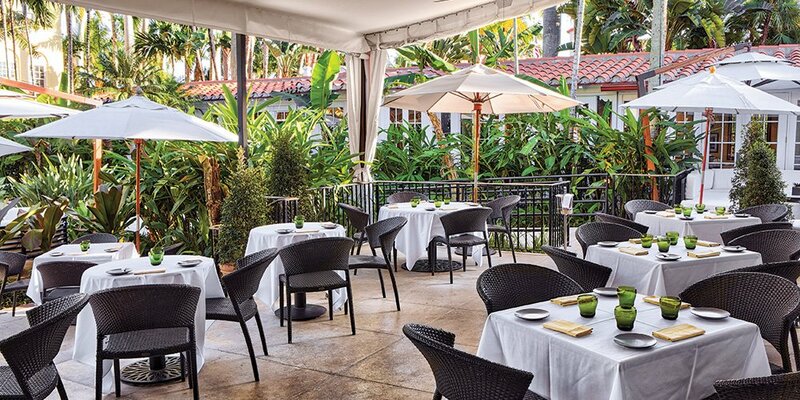 The culinary masterpiece that is Café Boulud is Chef Daniel Boulud's gift to Palm Beach. Located inside the historic Brazilian Court Hotel, this famed boutique hotel has hosted the likes of Greta Garbo, the Kennedy family, Gary Cooper and other legends. It’s also won awards from Fodor’s, Condé Nast, Travel + Leisure, Wine Spectator, Wine Enthusiast and more. Originally built in 2003 and redesigned in 2015, the timeless fine-dining restaurant matches the landmark’s sheer glamour, warmth and intimacy. And, the romantic and posh courtyard is an open-air oasis complete with statuesque palm trees, an elegant fountain and plenty of tropical foliage. Café Boulud’s gourmet French-American cuisine (with a loving nod to South Florida) is as upscale as its swank, nostalgia-inducing setting. You wouldn’t expect anything less from the world-renowned chef and iconic visionary hailing from Lyon who has enjoyed a four-decade career including: building a global gastronomic empire, earning multiple Michelin stars, authoring numerous books, and winning several James Beard Foundation awards among his many achievements. Headed by the highly recognized and award-winning Executive Chef Rick Mace - who has worked alongside Boulud for years - let’s obsess over the exceptional, seasonal ingredient-driven cuisine. But, before we whet your appetite, savor Café Boulud’s extensive list of decadent French wines: Beaujolais, Châteauneuf-du-Pape, Burgundy, and Bordeaux just to name a few. Bon appétit! Salty east coast meet clean west coast oysters, along with sides of authentic mignonette and tangy cocktail sauce. Devour these with delightful brut champagne for a swirl of bubbles and flavors on the palate. 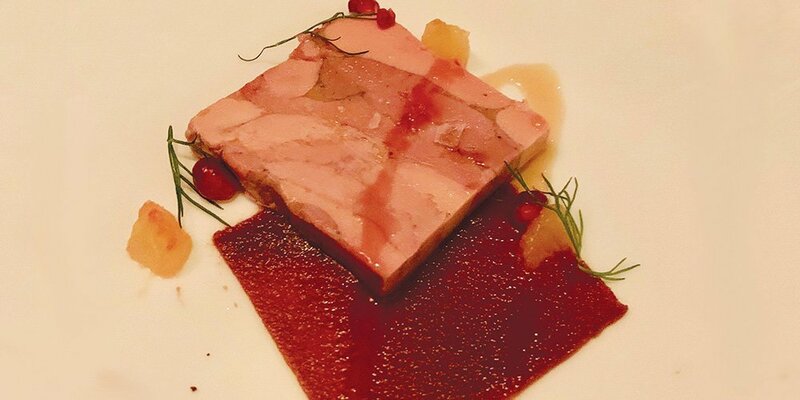 The fatty, luscious and silky notes of thinly sliced Foie Gras Torchon bode well with the bold and rich fruitiness of pomegranate and date. Delicate, meaty Dover Sole is filleted tableside and accompanied by traditional Meunière buttery sauce, glistening roasted brussels sprouts, fragrant rice pilaf, well-seasoned mushrooms, and crisp pommes frites. Voilà! 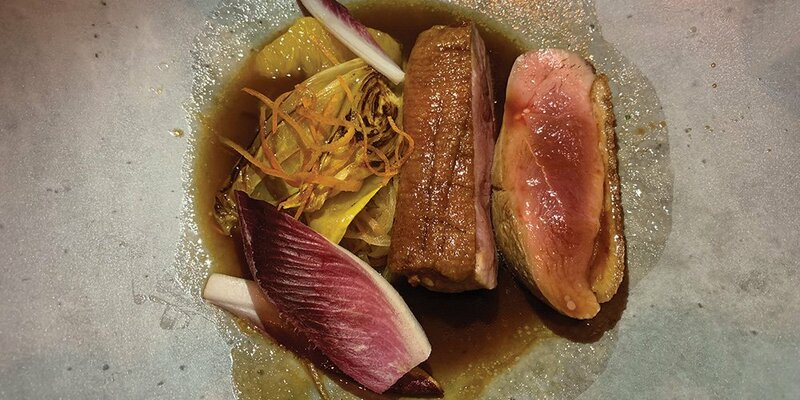 A masterfully prepared, plump and ever-so opulent Duck à l'orange arrives next. A beloved sweet and succulent dish, this seared specialty pays tribute to classic French preparation. Underneath the crisp, golden brown skin (spooned with time-honored, orange-forward bigarade sauce) is gorgeously tender and moist duck breast. Absolutely delicious. Leave room for Café Boulud’s decadent desserts. The French macarons are lovely. Straight from the oven comes the airy Grand Marnier soufflé, served with opulent dark chocolate ice cream. Now the yummy and colorful mango cheesecake (which looks exactly like a mango) is a mouth-watering plate bursting with layers of flavors and textures: mango cheesecake, ginger marmalade, graham sablé and passion-kiwi sorbet. Polish it off with a Muscat from the Rhône Valley. C'est magnifique, all of it! Café Boulud, 301 Australian Avenue, Palm Beach, FL 33480. Reservations: 561-655-6060.